Over 60% of businesses today have unknowingly over paid for utilities and currently have errors and overcharges on their service accounts. At Util Auditors, we offer utility bill auditing services to find and correct these big-time errors. Getting started is easy and free! Just provide a recent copy of your utility bill. 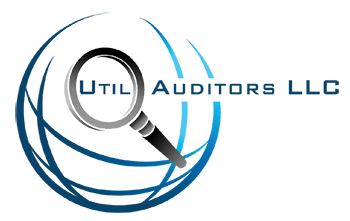 Using extensive industry experience and auditing software, Util Auditors will analyze your utility bills at no cost, finding errors that even the best financial executives overlook or are unaware of. When over-payments are discovered, Util Auditors will work directly with your utility company to fix billing errors, implement cost savings, and file for refunds – saving you time and money. The best part? Util Auditors is only compensated after confirmation of your savings. Post-audit, you can put your recovered cost to work, gaining a completive advantage in the field. Want additional capital to increase your production? Want cost savings to re-invest? Want peace of mind so you can stay on task? Call 888-963-8479. Recover your utility costs with utility bill auditing services. Get your business back on the fast track.